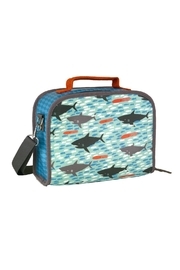 Super fun padded lunchbox from Petit Collage made from an eco-friendly wipeable cotton canvas exterior coated with a protective, solvent-free biodegradable laminate made from sugar cane. Features a padded carry handle and an adjustable chest strap. 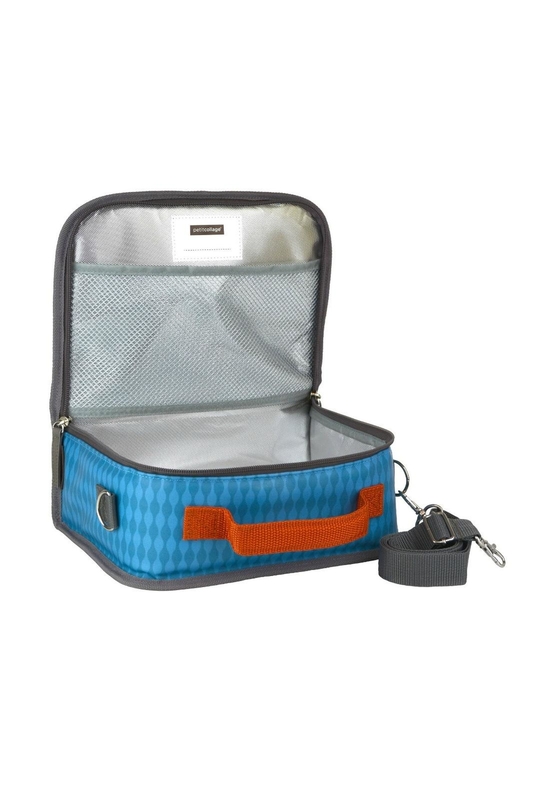 The interior mesh pocket is perfect for holding utensils and ice packs. Crumbs? Leaks? No problem, this lunchbox easily wipes clean with a damp cloth! BPA, PVC, and Phthalate-free. Measures 10" x 3.75" x 7.5". Perfect for ages 3 and up.